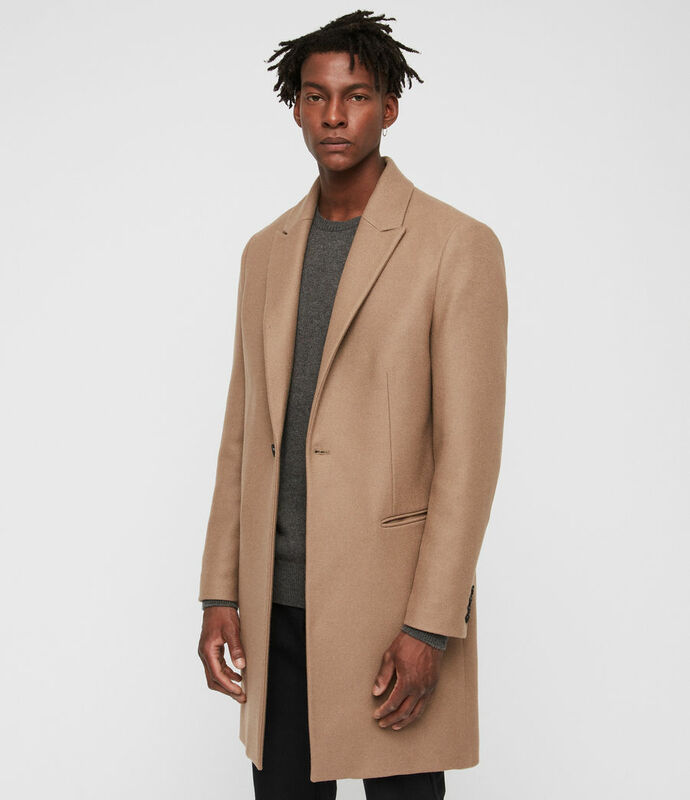 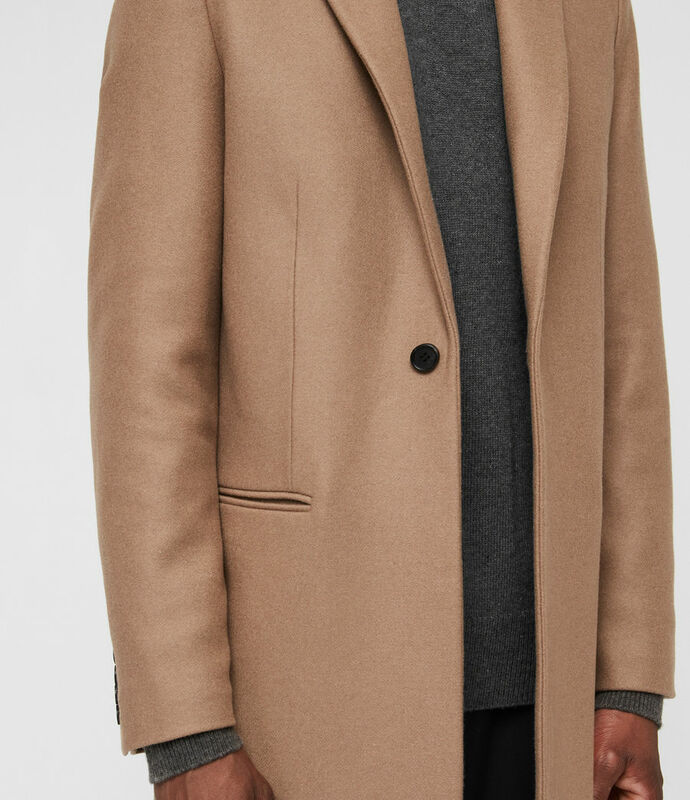 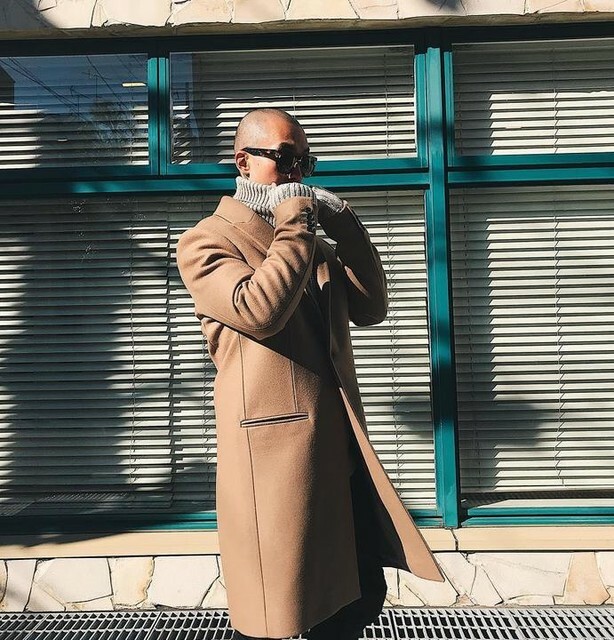 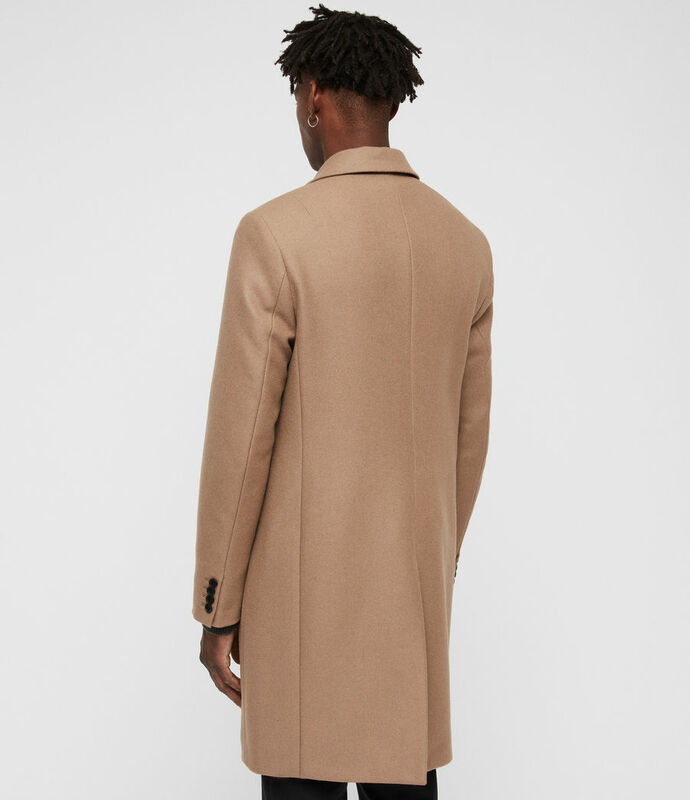 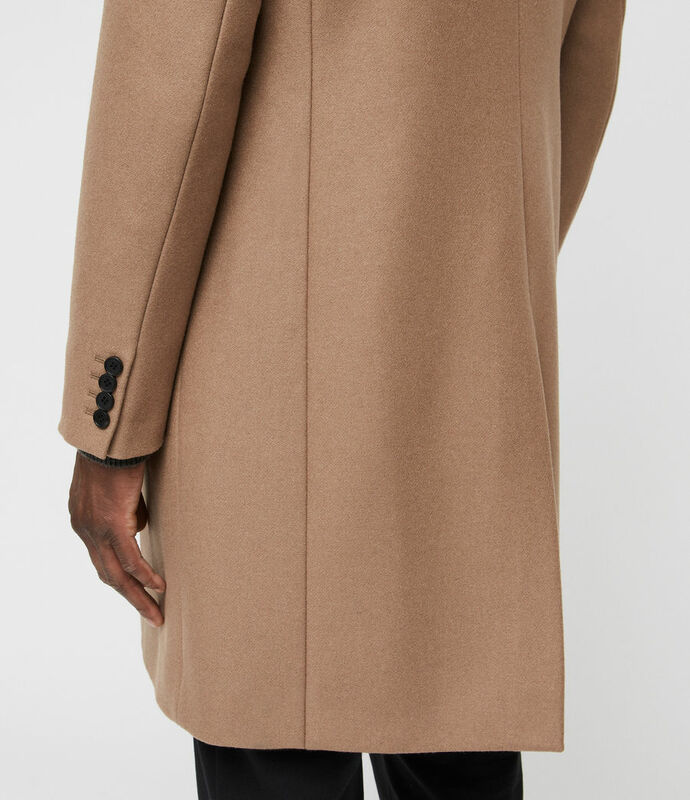 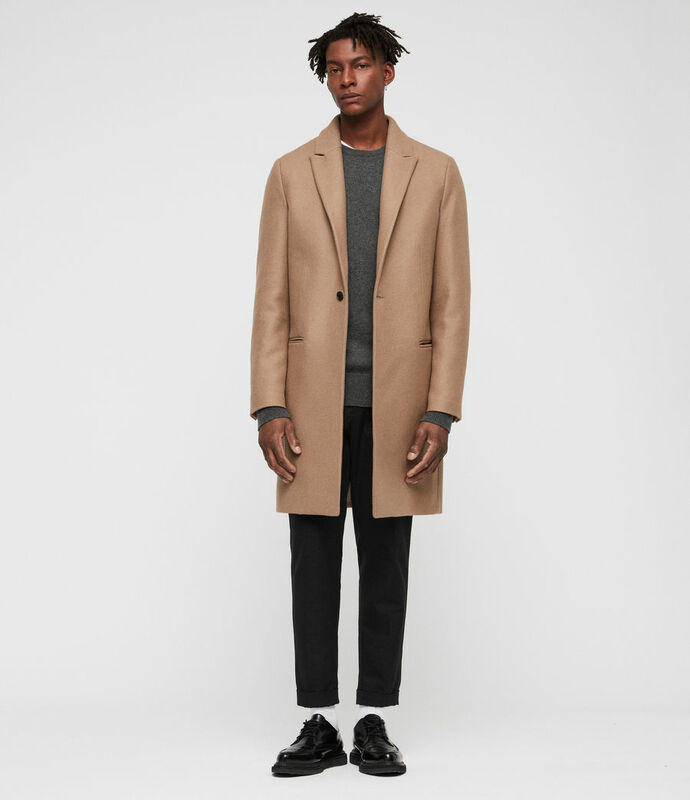 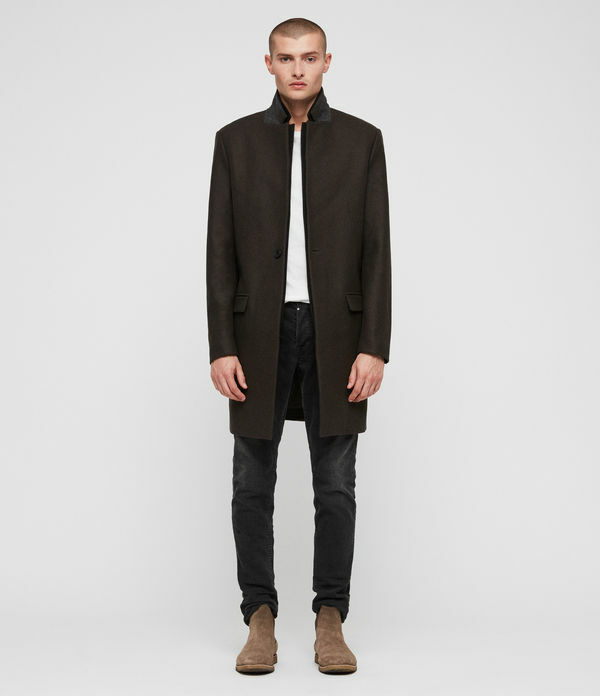 The Tulsen is a tailored overcoat in an everyday camel brown shade. 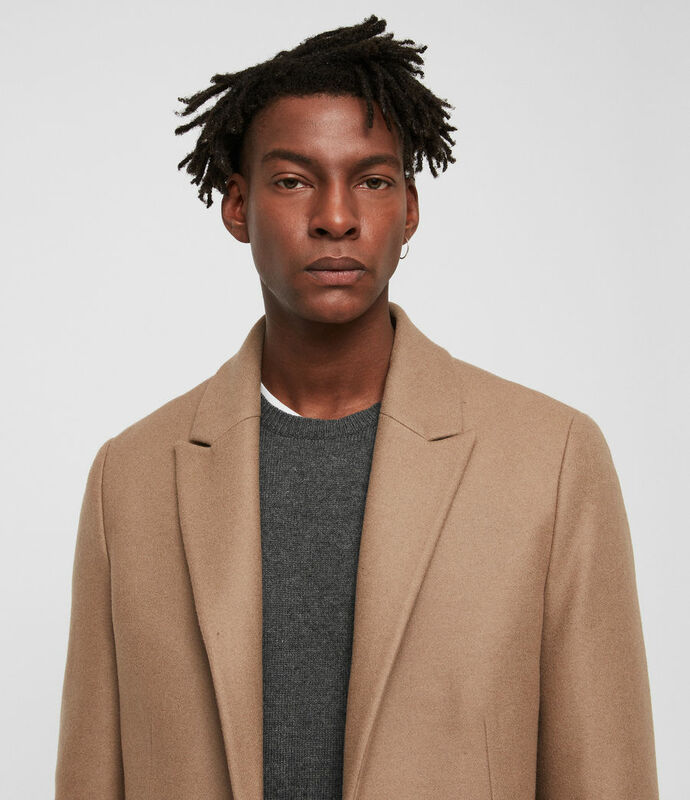 Crafted from a smooth wool-blend, it's fully lined for this season with a minimalist single button fastening and traditional peak lapels. 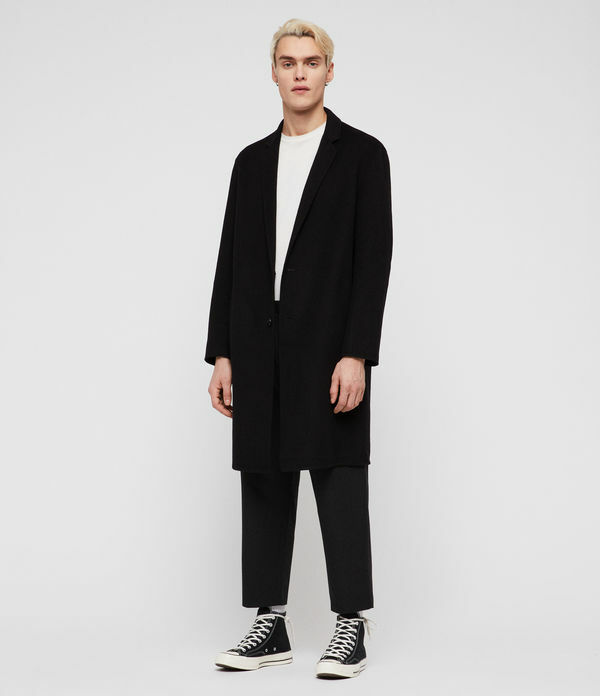 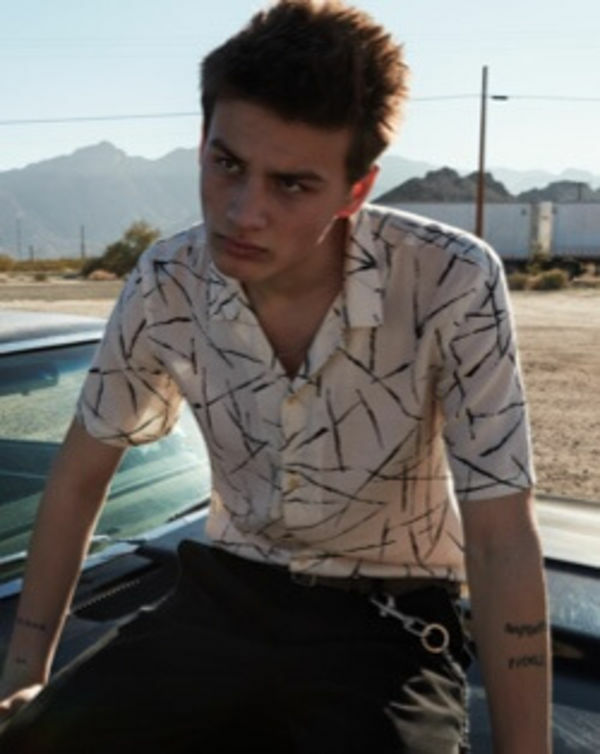 Model is 6'2" / 185cm and wearing a size 40. 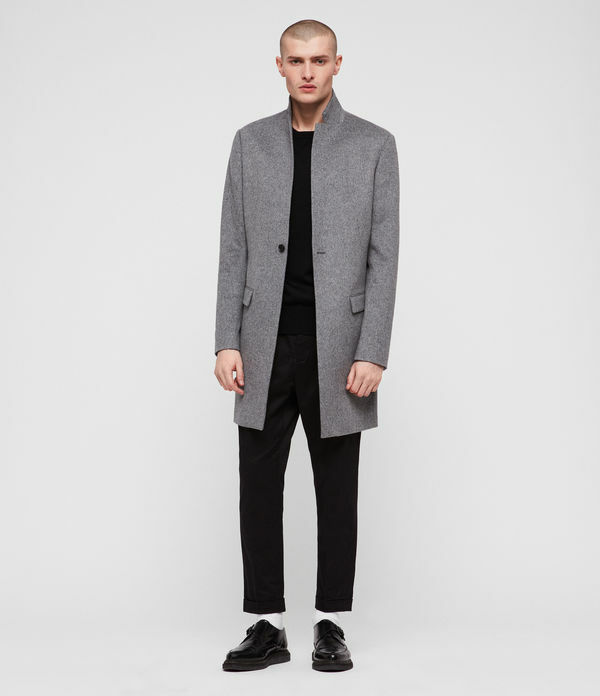 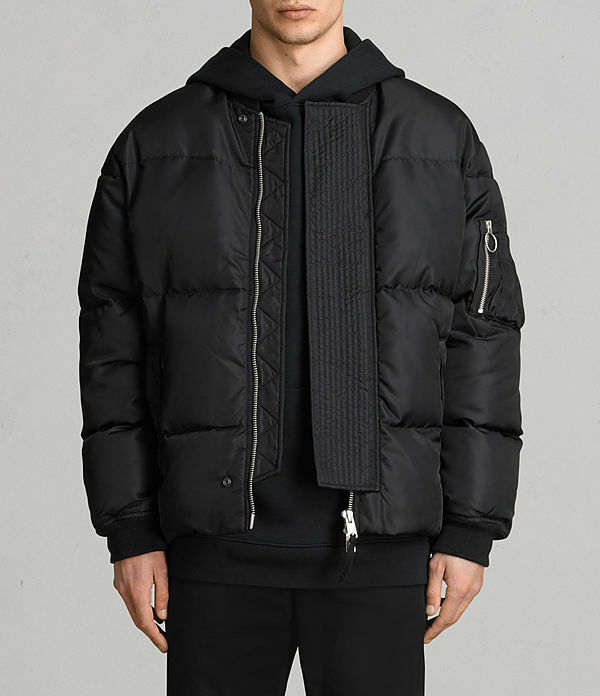 Sleeve lining and collar: 100% polyester.